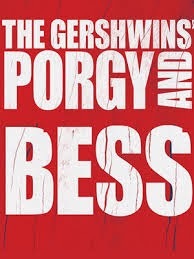 Gershwins’ Porgy and Bess will run at Regent’s Park Open Air Theatre from 17 July to 23 August. Directed by Timothy Sheader the cast will include American actor Rufus Bonds Jr who has appeared in The Color Purple (US National Tour), Disney’s The Lion King (US National Tour) and the original Broadway production of Parade for which he was nominated for the Drama Desk Award for Outstanding Featured Actor in a Musical. Nicola Hughes reprises the role of Bess following her Olivier Award nominated performance in Trevor Nunn’s 2006 production at the Savoy Theatre. Her stage credits also include The Color Purple (Menier Chocolate Factory), Fosse (Prince of Wales Theatre/ Olivier Award nomination) and Velma Kelly in Chicago (Adelphi Theatre). Porgy and Bess will also star Phillip Boykin who will reprise the role of Crown, for which he received Tony, Drama Desk and Outer Critics Circle nominations for the 2012 Broadway production (Tony Award, Best Revival of a Musical). Double Laurence Olivier Award nominee Sharon D Clarke,whose credits include We Will Rock You (Dominion Theatre), Ghost (Piccadilly Theatre) and The Amen Corner(National Theatre) will play the role of Mariah. Further casting to be announced shortly.